For the latest news, images, action and results from the 2014 Brazil World Cup. #Pirlo is a genius isn't he. I saw him do that dummy v Nigeria a few months ago and took out 3 players. Back on. Here we go again. The winning team has scored three goals today. Will Italy or England stand up to the challenge...? We'll find out in 45 minutes..
Kick-off times have been slightly annoying for some (including me). But with a global following, there isn't much FIFA could do, especially when it needs to cater to the main audience and the sponsors. Italy first to take up the challenge! It's Balotelli, who else. Rising high on the left post..
15 minutes to go and the 2006 champions lead England 2-1. Balotelli has been subbed though. But the threat on England's goal still exists. Can England fight back? Or will Italy add a third? So this is what Group D looks like. Surprise at the top after Costa Rica shocked Uruguay. 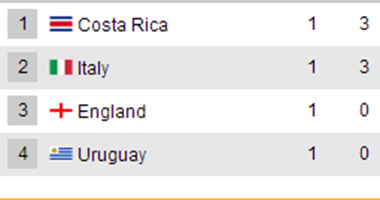 England and Uruguay have a lot to do now after the early loss. A Brazil homecoming for Japan on how the Japanese team might be 18,000km from home in their Sao Paulo base, it would feel right at home during Brazil 2014.- by Paul Williams. Lionel Messi takes centre stage today when Argentina face Bosnia in their World Cup opener in Rio De Janeiro. Four-times world player of the year Messi will spearhead the Argentine attack together with Sergio Aguero and Angel Di Maria. The South Americans are bidding for their third world title as they begin the tournament against an inexperienced Bosnia side (their first World Cup) who will look to Edin Dzeko for goals in the Group F match at the Maracana. The game starts at 19:00 local time. France should fancy their chances against Honduras in their Group E opener in Porto Alegre but the Central Americans will hope the former champions' penchant for erratic performances opens the door for an upset. The game starts at 16:00 local time. Hey football fans - Andrew Binner here to take you through all the action tonight/this evening/this morning depending where you are. Many thanks to the right honourable Mr. Poort for his day's work. Spent last night in a bar full of Italians to watch England get undone by two pieces of genius by Italy. No complaints but had nightmares of tortellini for some reason. Real Madrid fans are said to be some of the most loyal in the world. I mean, to keep supporting your players ahead of the country you are from really says something about your dedication. 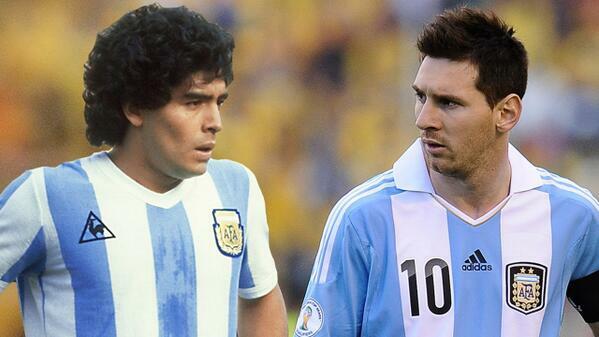 Can't wait to see if Argentina can live up to their promise against Bosnia. Best midfielder in the world? Maybe. 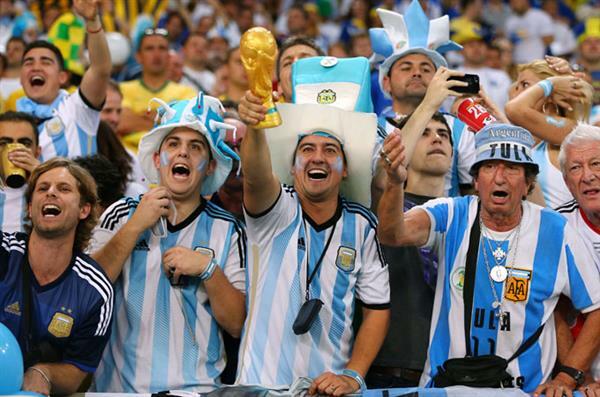 Central to Argentina's hopes in Brazil? No question. Ecuador and their fans will certainly bring some colour and entertainment to their Group E clash at Estádio Nacional de Brasilia, Brasília. It's going to be a party in the Brazilian capital city! With the glitz and glamour of hosting a World Cup, it is always easy to get carried away in the moment and forget some of the underlying tensions that are very much alive in Brazil. Take a look at the powerful slideshow Al Jazeera's Elizabeth Gorman put together to illustrate why man Brazilians are so upset that the money used to build grand football stadiums was not put straight into accommodation and basic food and clothing for Brazil's many homeless communities. Switzerland are Ecuador's opponents today and are one of the top ranked teams in the competition. However, did you know that their squad over two thirds from immigrant backgrounds? Here is Lee Welling's great piece on new Swiss immigration quota laws that could change the face of a nation. 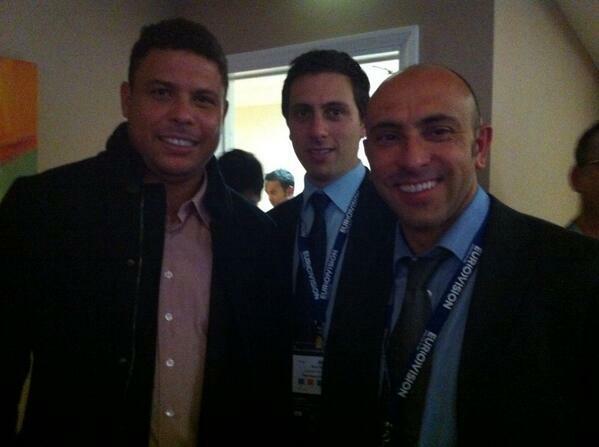 Looks as if Lee has been busy in brazil rubbing shoulders with footballing royalty! I wonder who asked for who's autograph first? Switzerland have conceded only one goal in their last seven World Cup games. 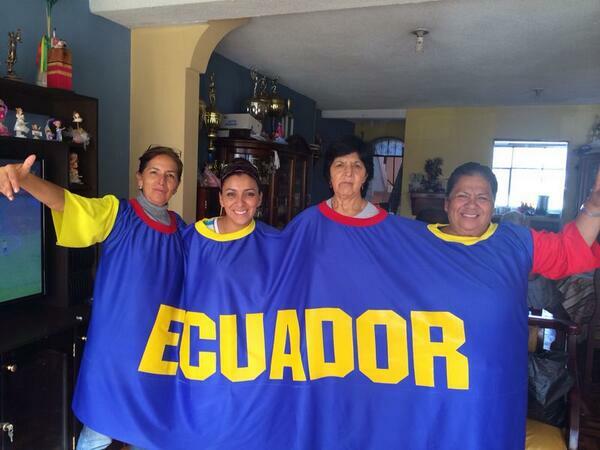 Ecuador will have to use every ounce of their creativity and speed to break down this staunch defense. Stephane Lichtsteiner is Switzerland's main attacking threat in the opening 10 minutes, surging forward again, but letting himself down with the end product. 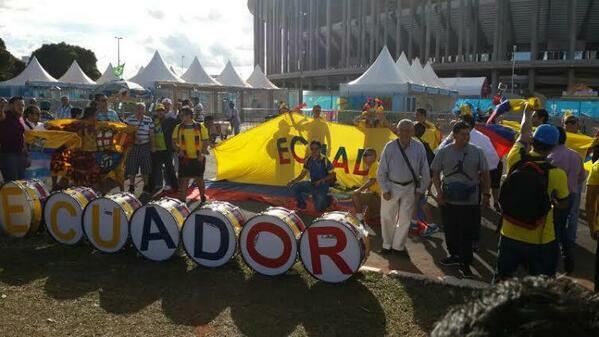 “@thatcolombiannn : “@ModelosFutbol : ECUADOR #ECU pic.twitter.com/wH1YaU5T0C” *Colombia ??????????? ?” omg ???????????? Walter Ayovi swings in a beautifully-weighted free-kick and Enner Valencia puts away a confident header. Switzerland keeper Diego Benaglio has had a nightmare with his positioning - standing behind the goal line when the header is made! That goal will really force the Swiss into attacking - not their natural style but should make for a great spectacle as they throw caution to the wind. 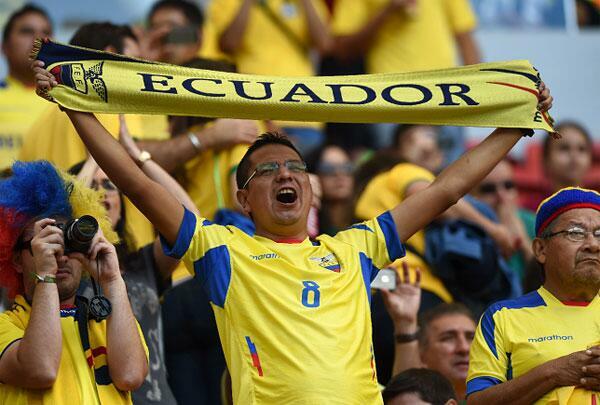 Ecuador striker Enner Valencia has scored in each of his last five appearances for his country. That is a perfect example of a coaching master class from Switzerland boss Ottmar Hitzfeld. His half-time substitution of Freiburg forward Admir Mehmedi on for midfielder Valentin Stocker pays dividends less than five minutes into the second period. 58 mins: Switzerland are playing all the football now and seem to have been energised by that goal. Xherdan Shaqiri flys down the right flank, picks out goal-scorer Adnan Mehmedi with radar efficiency, but cannot forge a shot on goal. Here are some stats about Switzerland's man of the moment. Ecuador are now having to bare a Swiss onslaught of renewed attacking vigour with Xherdan Shaqiri in particular causing the South Americans numerous problems. There have already been more own goals in this World Cup (three) than in the whole of the 2010 tournament in South Africa. Don't think these guys are particularly bothered either way though. 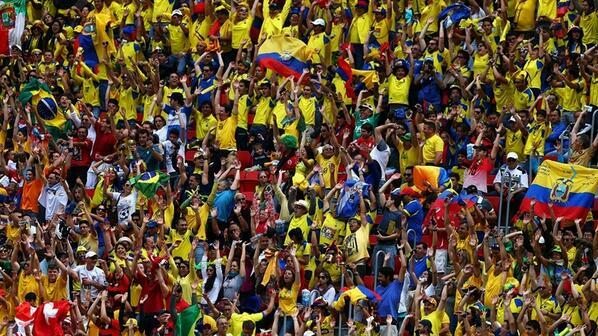 That early goal has really got the famous Maracana stadium humming. The Argentinian fans are going crazy out there and it seems as though Bosnia are getting lost in all the noise, giving the ball away at will. But apparently it is still possible to be in South American and choose to enjoy the action in a rather more serene fashion. First booking of the match goes to Marcos Rojo who mistimes a tackle. Bosnia have settled and are now starting to find their feet in this game - putting some good stuff together. Crowd still in fine form but the same can't be said for the action which has become a little dull. Bosnia probably getting the better of the South Americans now. 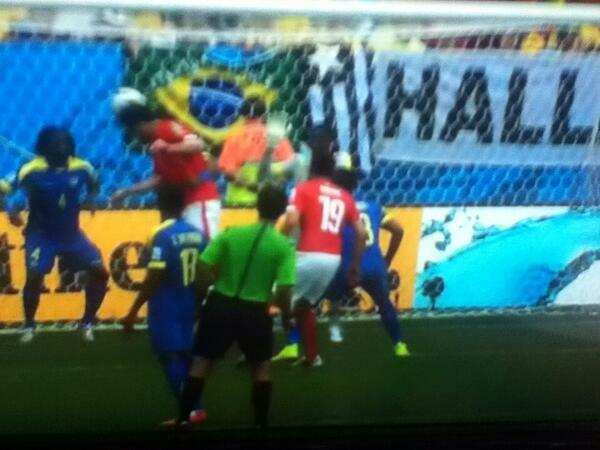 Thomas Muller steps up and buries his sixth World Cup goal with a powerful strike to Patricio's bottom right. That's a confident lad there - exactly the right temperament for a World Cup. Thomas Muller's penalty is Germany's first World Cup penalty goal in regulation since 1994, when Lothar Matthaus netted against Bulgaria. They have scored 19 of their last 20 penalties at World Cups though (including shoot-outs). Love this. 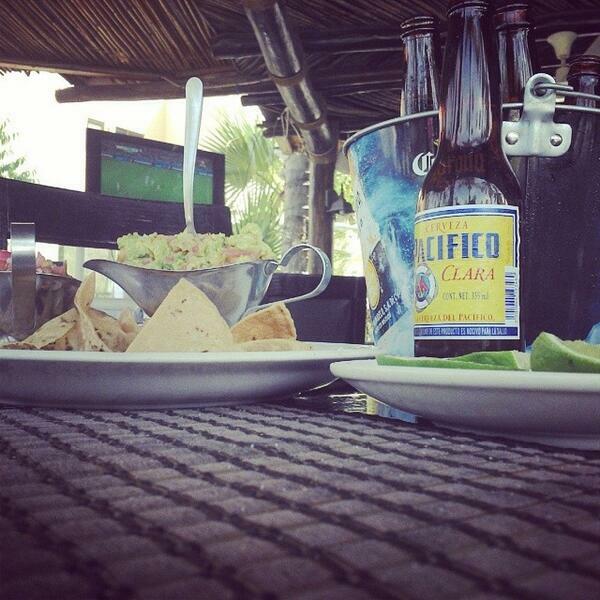 Shout out to Justyne in Mexico who is watching the game and drinking in the Latino vibes. 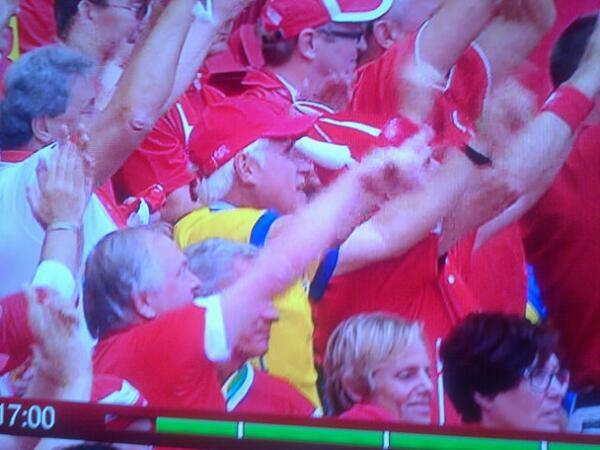 Other fans from the world include these Germans, who bring their sofas to the stadium to watch the games. Jealous. 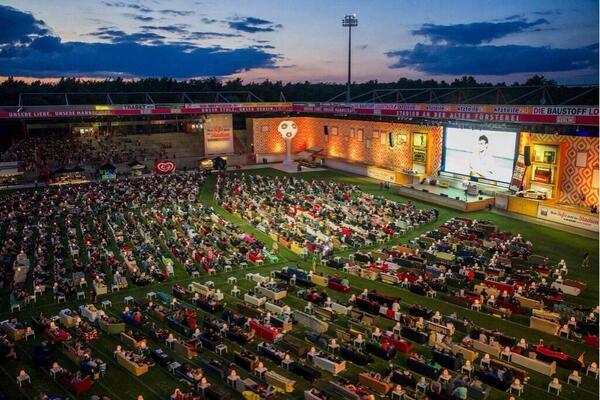 "@KhairilAnuar : Stadium kat Germany letak sofa buat viewing party untuk World Cup. pic.twitter.com/bKrCgJmS9m"memang terrrrrbaek! Germany looking increasingly confident after that early goal. Philipp Lahm directing play with easy for Joachim Low's men. Portugal keeper Pereira looking to send his men forward and make ammends for his blunder. That's the half folks. The whistle goes but not before Ghana fluff a great opportunity to bring the game level. The temperature is rising inside Estadio das Dunas and Sulley Muntari is starting to get a bit shirty with the opposition as he trades a few compliments with Jermaine Jones of USA. 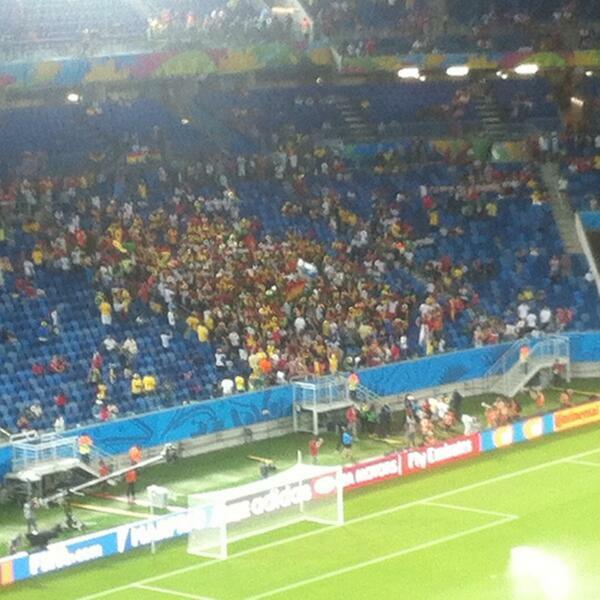 They may be losing the match, but the Ghana fans are determined to win the battle of the fans. There has been a slight role reversal since the break and Ghana have come out all guns blazing. The US are hanging on, but only just. Sulley Muntari is directing his anger on the ball and goes close with a powerful drive before Asamoah Gyan heads a great chance over. USA have got to be careful here. And the USA fans agree apparently - knowledgeable bunch, this lot. Clearly love their footy (the good kind). 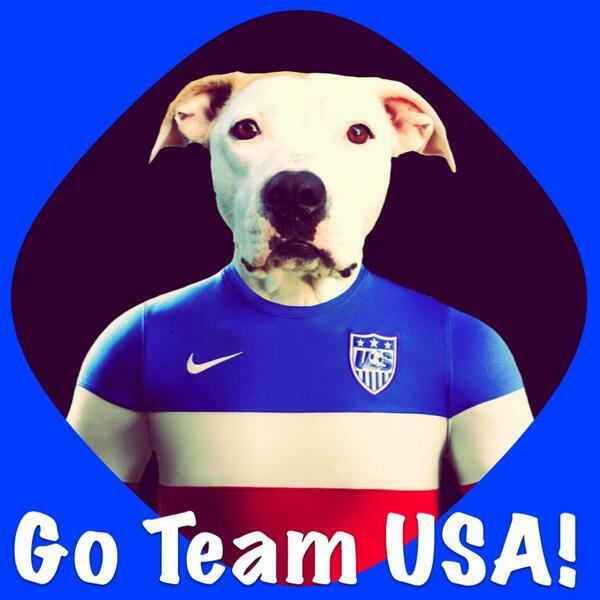 Maybe today's furry-fan can help out the US? Asomoah Gyan has had so many chances to get his team back in the game but the Ghana captain cannot find the net. The Black Stars are creating all sorts of chances as the US have gone into self-destruct mode - lacking any shape or composure. Kevin-Prince Boateng is the next to flash a shot over. He has really made the difference for his team, but that was a weak one. This game is far from over. The players are full of running as USA put Graham Zusi on for Alejandro Bedoya. All three of Ghana's World Cup finals defeats have come when they have failed to score. Will this be history repeating itself?